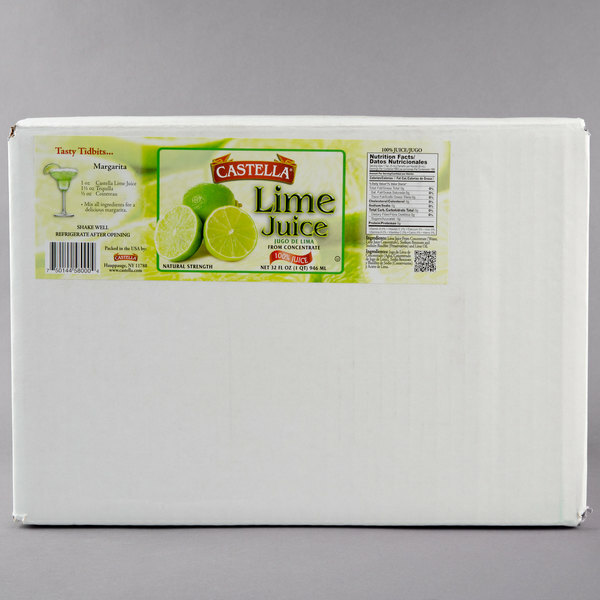 Add a citrusy hint of lime to your drinks or foods with this Castella 100% lime juice. One of the largest importers and manufacturers of bold flavors in the United States, Castella has offered top quality products for over 20 years. 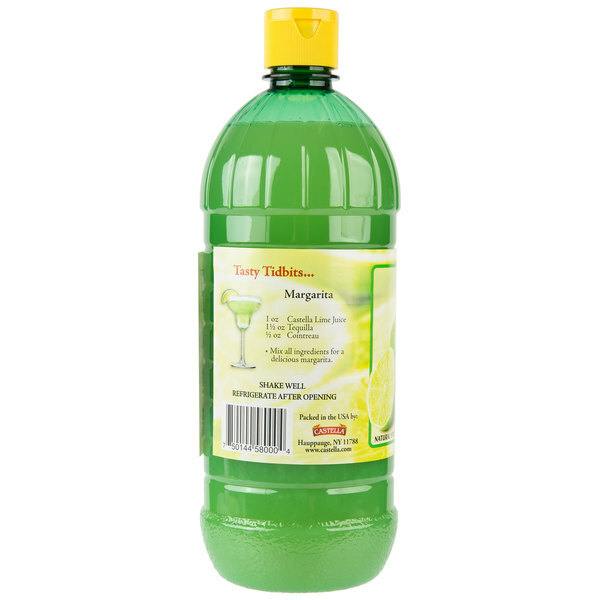 This lime juice is sure to spruce up a wide range of offerings at your restaurant or cafe! Its smooth consistency and tangy flavor is perfect for blending fresh lime taste into a variety of marinades, dressings, or dipping sauces. 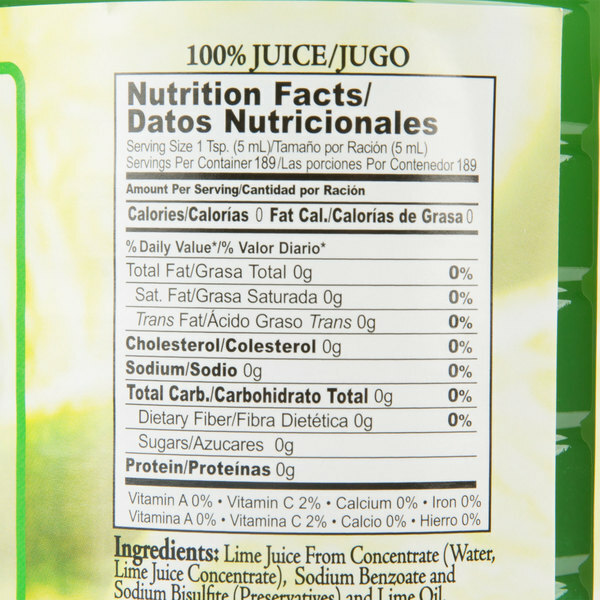 Lime juice makes a delicious addition to salsas and guacamoles, as well as a variety of other Mexican and Thai dishes. Add to a variety of beverages, including refreshing fruit punches, margaritas, mojitos, and other cocktails. Or, try your hand at classic key lime pie and serve your guests a sweet treat! 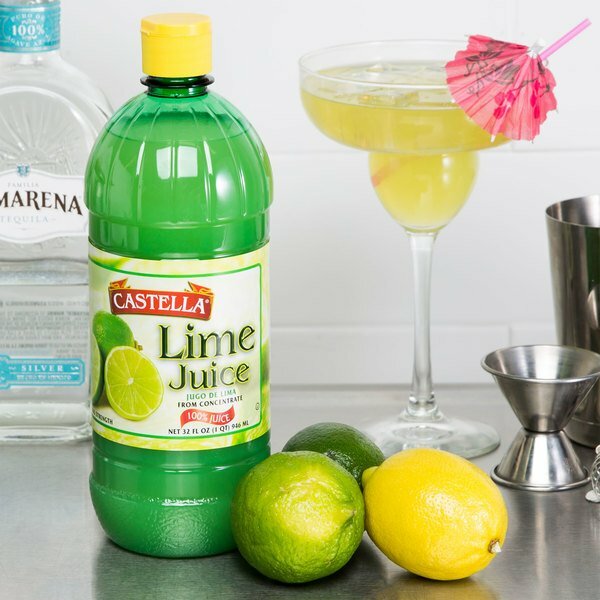 Without needing to slice or squeeze whole limes, this 32 oz. 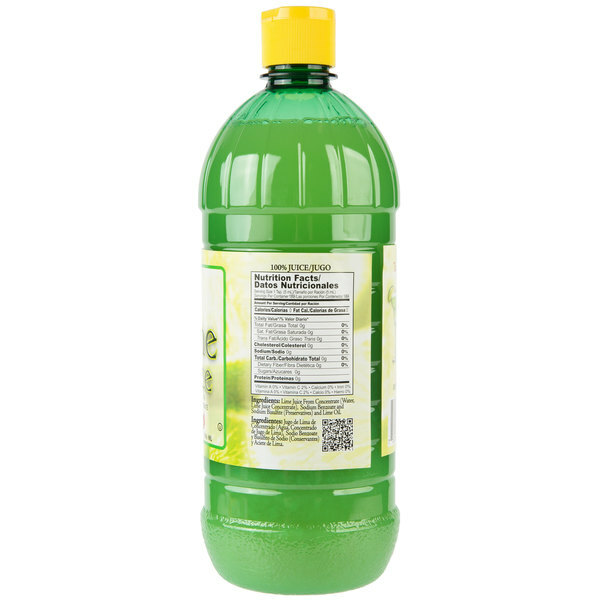 lime juice conveniently saves you valuable prep time, while still providing a fresh, delicious taste. 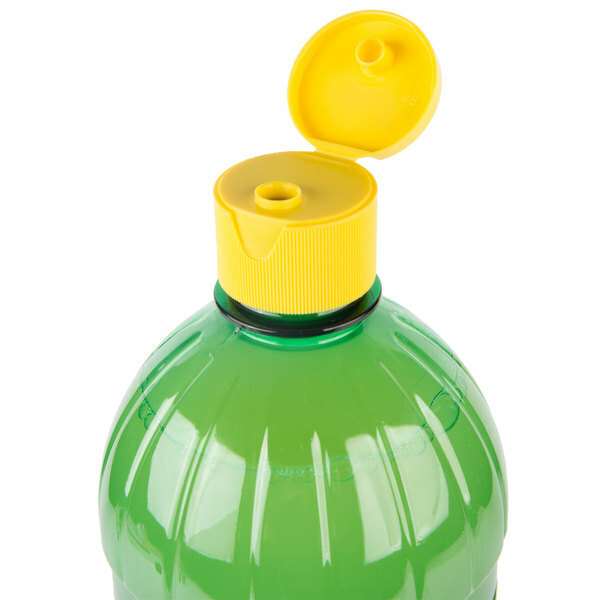 You're sure to be in good supply for all your beverage and culinary needs with this convenient bottle of Castella lime juice. 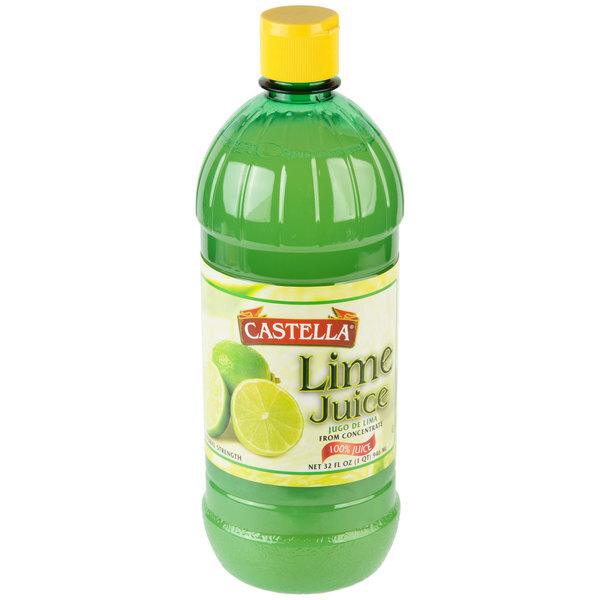 This is a great tasting quality lime juice. I mainly use it for cooking, haven't tried it in drinks yet. The flip top cap is really nice to use. 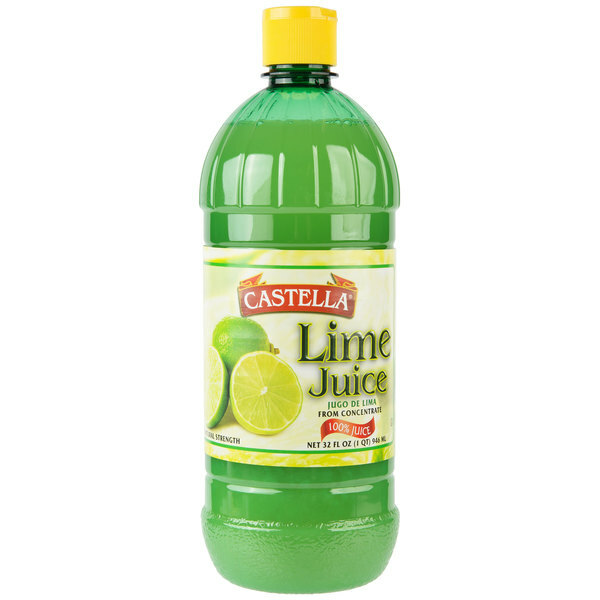 Quality tasting lime juice that is much easier than using real limes. It works great for cooking and cocktails and its spout provides easy measurement as well.